+ 44 (0) 1446 - 710113 | About us | © Copyright of WelshModels 2016. 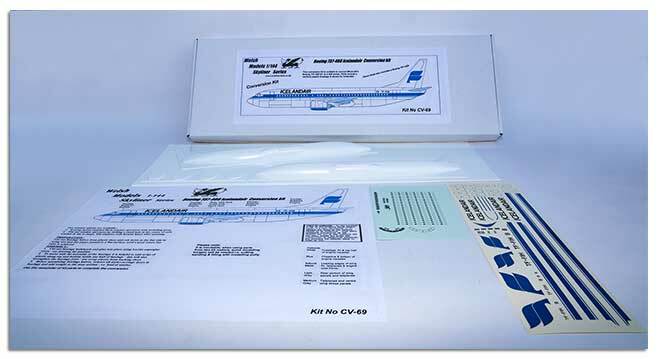 CV69 - Conversion kit to convert Minicraft B737-300 into a 408 series. Supplied as a Vac Formed fuselage with supports, instruction sheet and decals by 'Oriental' in Icelandic livery.